The world waits in anticipation to see ‘the dress’ and which designer has been chosen for the royal bride. It has also ignited sparks of excitement for all those brides-to-be who have begun their search for their ‘perfect dress’. Unfortunately for some brides, their dreams of a fairy-tale ending turn into a nightmare, with counterfeiters producing copies of famous designer dresses and passing them off as genuine. 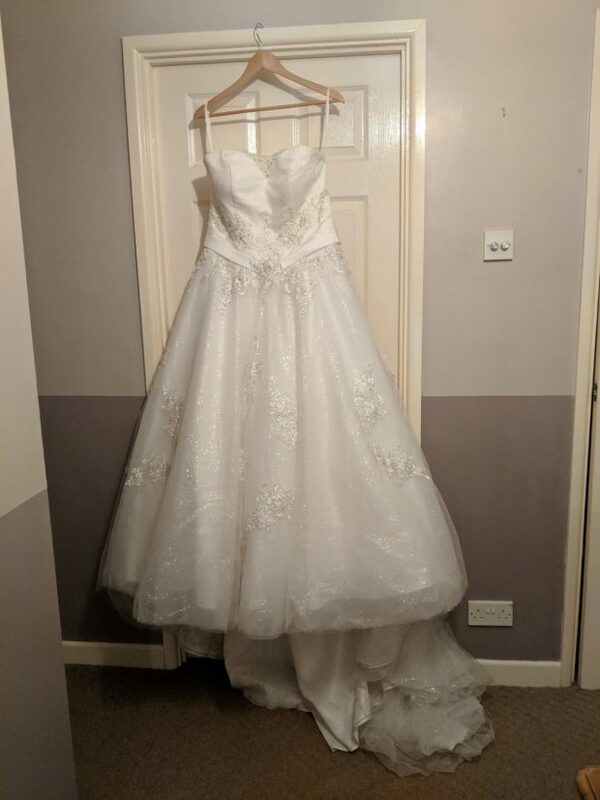 With the UK wedding industry estimated at £10 billion and the average cost of a wedding dress just under £1000, it’s easy to see why the counterfeiters want a piece of the action and will go to any lengths to exploit these brides-to-be. At the Intellectual Property Office (IPO), my role is to raise awareness of the harm associated with counterfeit goods, working with partners such as the IP Crime Group and Trading Standards, where I worked prior to the IPO. At Trading Standards I was able to hear first hand of the distress caused to consumers at the hand of the counterfeiters. I didn’t have any of the warning signs I would have expected. I didn’t buy online and the dress wasn’t cheap. My first appointment was exactly what I’d expected. I spent time trying on dresses until I found a style I liked. The price was what I had anticipated for a handmade bespoke wedding dress and my mum made the payment. It was a special moment. However, when Caitlin returned several months later for her first fitting, it was the same dress she had previously tried on and no alterations had been made. She became suspicious when she collected her dress a couple of months later, before the business closed for good. Caitlin later found out that the dresses were not handmade or bespoke as promised. In fact, they were ordered over the internet by the business, direct from China for a fraction of the cost. 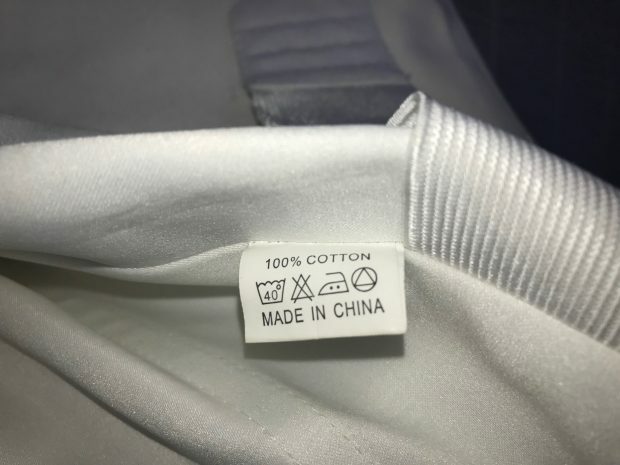 When I finally found out about the dresses coming from China, I was a couple of days into my honeymoon. I felt a mix of anger, upset and embarrassment that I’d fallen for the scam and all the little problems that I had justified at the time started to make sense. Unfortunately this story is all too familiar for some, but there are things you can do to prevent you from becoming a victim of IP crime. This short film, produced by the IPO and the British Bridal Association, provides an insight into the wedding dress counterfeiters and what you can do to protect yourself. In spite of the issues with the dress, Caitlin still had a wonderful wedding day, but so many other brides can tell a different story. Be vigilant when organising your wedding and make sure the only tears you shed are happy ones! "The average cost of a wedding dress just under £1000k"
Wow. Not many people can afford £1,000,000 for a wedding dress. There must be a few very, very expensive dresses out there (maybe costing tens of millions of pounds) to drag the average cost up to one million pounds.